Peak oil, energy conflicts, resource wars, blood for oil, great games, grand chessboards, returns of geopolitics and oil grabs: the politics of oil is infused by rival modes of political simplification – whether critical or governmental. Recent writings on the politics of oil seem bewitched by the idea of the curse of oil as a kind of temporal curse, by oil as the viscous element that mires us in supposedly outmoded forms of politics. But why is petropolitics so often lived and portrayed as a kind of retropolitics, as burdensome weight on the very possibility of political innovation? In his brilliant, panoramic presentation on ‘carbon democracy’ at the recent Oil and Politics symposium – tracking the shift from the sites of class struggle in the coal economy, and its miner-transport worker-dock worker alliance, to the politics of petroleum, which flowed through Europe on the back of the Marshall Plan – Tim Mitchell mentioned Sartre’s idea of oil as ‘capital bequeathed to man by other living beings’ (and we could muse here about Sartre as a philosopher of oil, on which more at the end). 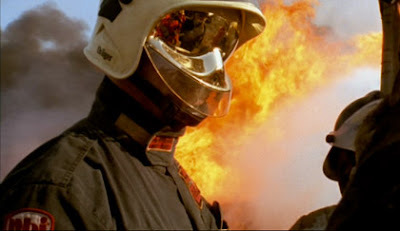 In this respect it is of more than anecdotal interest that writing a film-script about the tragic aporias of political freedom and revolution in 1946, a film originally entitled Les mains sales (Dirty Hands) and now called L’engrenage (translated as In the Mesh, but more literally The Mechanism), Sartre would choose the predicament of a subaltern oil-rich nation to dramatise a politics in which freedom is condemned to repetition, in which actors who want to dirty their hands with change cannot but eventually submit to the demands of the international and the constraints of the practico-inert, and finally to betray novelty. In 2003, responding to the apparent rebuttal of his notion of ‘Empire’ by the invasion and occupation of Iraq, and seeking to conjure away the spectre of a resurgent imperialism, Michael Hardt opted for a pastiche of Marx: his vision was that of a coup d’état within Empire, an 'Eighteenth Brumaire of George W. Bush', which is to say an attempt to attain a kind of monarchical monopoly over the power-structures of capital, after the hegemonic multilateralism exercised by Bush pére and Clinton. 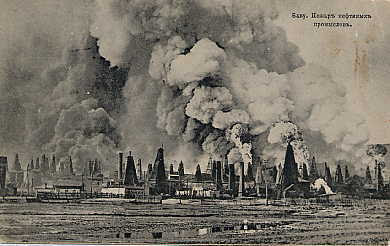 As he wrote, in a 'venal vein, the efforts to control the vast oil fields in Iraq and the Middle East certainly recall numerous imperialist wars to accumulate wealth, such as the British attempts a century ago in the Boer War to gain control of the great South African gold mines – blood for gold yesterday, blood for oil today. Despite these resemblances, however, the old imperialisms do not help us understand what is central in our contemporary situation'. Though few analysts of our political situation would hazard that we are in the throes of a mere cyclical repetition of the imperialism of yore, the notion that we are simply experiencing a fleeting fit of unilateralism, a glitch of sorts in the general tendency towards an increasingly deterritorialised and postnational configuration smacks of wishful thinking and appears heuristically toothless. The international political developments following Bush’s electoral victory in 2000 and the military campaigns begun (or in the case of Iraq, intensified) in the wake of the attacks of September 11, 2001, have been greeted by many, be it with enthusiasm or bemusement, as a revenge of realism, an imposition of the tried-and-true tenets of power-politics after the market-driven multilateralism and human rights rhetoric of the Clinton years. More specifically, and with particular reference to the politics of oil, numerous commentators have latched on to the idea of a return of geopolitics. Michael Klare, for instance, defines geopolitics as 'the contention between great powers and aspiring great powers for control over territory, resources, and important geographical position, such as ports and harbours, canals, river systems, oases, and other sources of wealth and influence'. Borrowing from Neil Smith, we could speak of 'a vicious resuturing of politics with geography’. Just as German expansionism and the US entry into the war triggered a surge in the buying of Atlases and in the popular American geographical imagination, as Smith tells us in American Empire, so today green zones, Sunni triangles, the al-Shatt waterway or the silhouettes of Caspian pipelines grace our broadsheets. 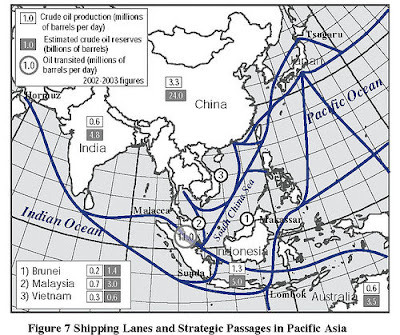 The US Army journal, for instance, sees fit to resuscitate the naval geopolitics of Alfred Thayer Mahan (baptiser of the ‘Middle East’) in order to enlighten its readers about China's 'Oil Obsession' and its strategic conundrum: how to bypass the Strait of Malacca, which currently witnesses 80% of its oil traffic, and avert a remarkable military and strategic weakness. Or consider the kind of mental horizon, or geopolitical imagination, behind these lines from the Baker Institute’s Task Force Report on America’s Energy Security: 'An accident on the Alaska pipeline that brings the bulk of North Slope crude oil to market would have the same impact as a revolution cutting off supplies from a major Middle East producer. An attack on the California electric power grid could cripple that state’s economy for years, affecting all the economies of the Pacific Basin. A revolution, in Indonesia would paralyze the liquefied natural gas (LNG) import-dependent economies of South Korea and Japan, affecting domestic politics and all of their trading partners’ . Emphasis mine. 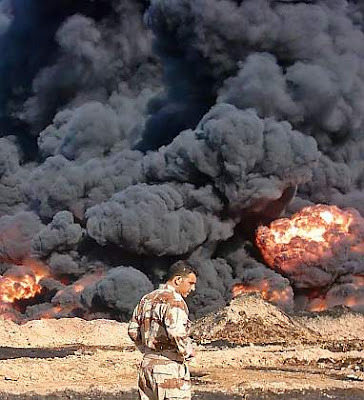 To what extent can the link between oil and politics, and more specifically oil and war (or political violence more generally) be captured by a geopolitical vocabulary? Now, much as geopolitics may have appeared as an anachronistic intruder in a conceptual arena dominated by debates on human rights, governance, and economic globalisation, it cannot be said that it was ever off the agenda – far from it. As Peter Gowan argues, the apparent obsolescence of geopolitical discourse after the demise of the Soviet Union hid a renewed concern with classical geopolitical issues exacerbated by the collapse of the Cold War as a principle of equilibrium. Among certain American intellectuals and strategists the collapse of the USSR was viewed not just as an opportunity to extend political and economic hegemony, but also as a grave potential threat. After all, the absence of a need for protection threatened partially to unmoor Western Europe and Japan from their relative subordination to US economic and foreign policy. The end of the rationale behind what Gowan calls the 'protectorate system', which made for the unipolarity of the capitalist world now confronted the US with a dilemma: 'Should it pull back from the protectorate game in Europe and let Europe float free? Or should it instead attempt to rebuild the security dependence of Western Europe, mindful of the fact that such rebuilding could only be achieved by extending the system of hub-and-spokes protectorates much further East, deep into the heartlands of Eurasia? In short, it would mean extending US unipolar unilateralism to the entire globe'. Even the so-called humanitarian intervention of the 1990s in the Balkans cannot be regarded as immune to such geopolitical considerations – as the persistent American military presence in the area testifies. As Gowan notes, contrary to the image of a humanitarian multilateralism that had left such debris of the Cold War behind, there was remarkable consensus across the American political spectrum, and within the Clinton administration itself, regarding these geopolitical stakes. In 1993, Clinton’s National Security Advisor Anthony Lake summarized this in the slogan 'From Containment to Enlargement'. In 1995, Zalmay Khalilzad, neo-con point-man, former ambassador in occupied Iraq and one of the figures behind the infamous Wolfowitz Doctrine synthesized in the 1992 Defense Planning Guidance report, wrote a RAND corporation paper entitled 'From Containment to Global Leadership'. Two of the sub-sections make the focus of Khalilzad’s proposals evident: 'hedge against reimperialization in Russia' and 'discourage Chinese expansionism'. Not only do such aims express a consensus among many policy analysts across the partisan divide, but they have a specifically geopolitical character, inasmuch as they repeat one of the commonplaces of geopolitical discourse: the strategic centrality of Eurasia. In the first half of the 20th century, British geographer Halford Mackinder had formulated the idea of the core of Eurasia, what he called the ‘Heartland’, as the pivot of geopolitical contention – he’d captured this idea in the following motto: ‘Who rules East Europe commands the Heartland; Who rules the Heartland commands the World-Island [Africa-Eurasia]; Who Rules the World-Island commands the World’. Mackinder’s vision was contested by Nicholas Spykman, who instead saw the crucial geostrategic prize as the Rimland, those territories – including Europe and the Middle East, which border the Eurasian core. Spykman, anticipating a post-war consensus, wrote in America’s Strategy in World Politics that US policy should be 'directed at the prevention of hegemony'. 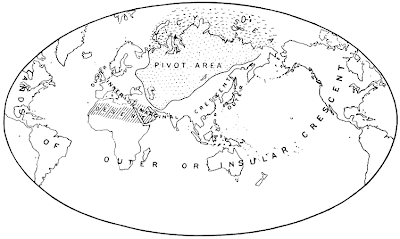 Coining a counter-motto to Mackinder’s, he presented the winning strategy thus: 'Who controls the rimland rules Eurasia; who rules Eurasia controls the destinies of the world'. Returning to the contemporary implementation of geopolitics, the link between energy issues, geopolitical strategy and economic hegemony straddles tactical political and partisan disputes in the US. Consider for instance the influential musings of Zbigniew Brzezinski on the significance of Eurasia, or what he calls The Grand Chessboard, for a post-Cold War US strategy. Once again, the persistence of the prevention of hegemony – rather than the open affirmation of dominance – reveals itself as a constant of America’s foreign policy from the Monroe doctrine to the Bush doctrine; a prevention which is geographically modulated and specified, not just in terms of the inhibition of powerful rivals but also, and at times especially in terms of the required openness of territories to flows of capital and flows of energy (such that the Carter Doctrine formulated in 1980, responded to any threat to the 'free movement of Middle East oil' as an 'assault on the vital interests of the United States of America'). Such suggestions seem to bolster the link between petroimperialism and ecoliquidity. For Brzezinski in particular this invariant theme of the prevention of hegemony takes a classical geopolitical, which is to say Eurasian, focus. As he writes in The Grand Chessboard, 'it is imperative that no Eurasian challenger emerges, capable of dominating Eurasia and thus of also challenging America. … For America, the chief geopolitical prize is Eurasia ... America's global primacy is directly dependent on how long and how effectively its preponderance on the Eurasian continent is sustained'. Following very closely in Mackinder’s footsteps, Brzezinski goes on to emphasise that Eurasia is 'geopolitically axial', that 'a power that dominates Eurasia would control two of the world's three most advanced and economically productive regions', namely inasmuch as 'Eurasia accounts for 60 per cent of the world's GNP and about three-fourths of the world's known energy resources'. It is thus imperative for the US to identify possible Eurasian competitors and their elites which could cause a 'shift in the international distribution of power' and 'formulate specific U.S. policies to offset, co-opt, and/or control the above...'. Despite the fact that Brzezinski tends to prioritise the velvet glove over the iron fist, he is open about the imperial coordinates of such a project: 'To put it in a terminology that harkens back to the more brutal age of ancient empires, the three grand imperatives of imperial geostrategy are to prevent collusion and maintain security dependence among the vassals, to keep tributaries pliant and protected, and to keep the barbarians from coming together'. Like for Mackinder, it is the regional cohesion of Eurasia (the coming together of the barbarians, so to speak) which poses a threat, all the more so because of the conjunction of rising energy consumption and Asian economic development which 'is already generating massive pressures for the exploration and exploitation of new sources of energy and the Central Asian region and the Caspian Sea basin are known to contain reserves of natural gas and oil that dwarf those of Kuwait, the Gulf of Mexico, or the North Sea'. Prevention of hegemony and openness are once again bound together, inasmuch as 'America's primary interest is to help ensure that no single power comes to control this geopolitical space and that the global community has unhindered financial and economic access to it'. 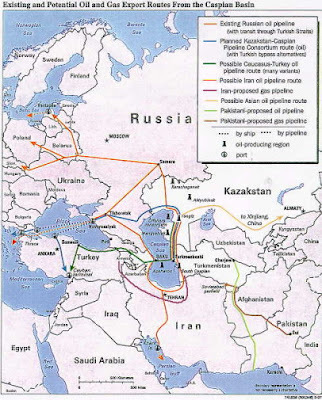 Now, though it may be disputed whether the implementation of the so-called Bush doctrine has entailed the 'comprehensive and integrated Eurasian geostrategy’ that Brzezinski called for – he himself seems to vigorously object, as evidence by his trenchant criticisms over the preparations for war in Iran – the link between the flow of oil, American unipolarity (rather than unilateralism per se), and geopolitical design cannot be easily dismissed. Some, such as Michael Klare, who speaks of the possibility of a 'new cold war in south-central Eurasia', have viewed a link between this vision of geopolitical supremacy and energy as the sufficient reason for the fortunes of recent American foreign policy. As he writes in a 2003 article precisely entitled 'The New Geopolitics', 'American leaders have embarked on the classical geopolitical project of assuring US dominance of the most important resource areas, understood as the sources of power and wealth. There is an ideological consistency to what they’re doing, and it is this geopolitical mode of thinking. … Against this background, it can hardly be questioned that the purpose of the war in Iraq is to redraw the geopolitical map of Eurasia so as to insure and embed American power and dominance in this region vis-à-vis these other potential competitors'. 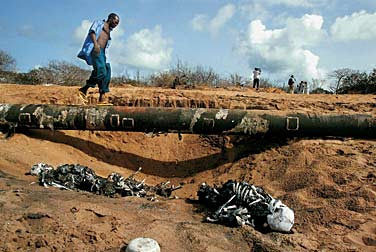 In this regard, for the likes of Klare, a geopolitical constant interacts with the absolute and produced forms of scarcity that afflict a global oil industry plagued by an imbalance between increasing demand and increasing capacity to generate a new, or at least more intense species of inter-imperialist rivalries: resource wars. 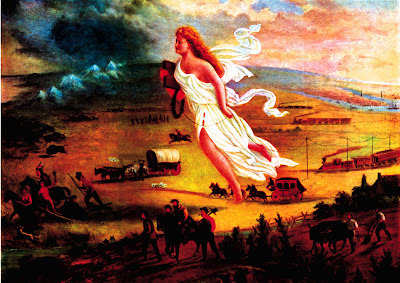 To paraphrase Hobson’s classic Imperialism, we would have moved from capitalism in general as the 'economic taproot of imperialism' to oil as the energetic taproot of imperialism and of coming inter-imperialist conflicts. It is worth noting here that the discourse of geopolitics and that of resource depletion have a profound affinity, to the extent that they’re both founded on a notion of closure: just as geopolitics in its formulations by Raztel and Kjellen depended on the notion of a finite planet whose political surfaces could be recombined but not expanded, so the discourse of resource finitude or scarcity (which was already contained in that of geopolitics) feeds on the image or myth of a zero-sum game. It is also important to remark here that much of the Marxist discourse on imperialism, which depends not just on the existence of non-capitalist territories but on the possibility of intensively opening up productive resources does not necessarily depend on such a notion of a finite politics. Whether as one of the driving ideological motors behind the neo-con revolution and its less radical forebears, or as a privileged source of its critique, this resurgence of a geopolitical imaginary – which the nineties had largely viewed as dead and buried – has encountered important adjustments and critiques. To begin with the idea of a geopolitics of oil as founded on the control of oil leaves rather open the issue of how such a control might be exercised, especially if we consider that access, pricing or the enhancement of extractive capacity are neither easily garnered through military-territorial means, nor is it in the least clear how a 'national' differential advantage could be drawn from a resource whose centrality lies precisely in its capacity to fuel an intensely integrated global economy. Here the geopolitical comes into friction with the geoeconomic, or, to use the terminology of Giovanni Arrighi and David Harvey, the territorial logic of power and the capitalist logic of power demonstrate that they do not always work in concert. Many authors concerned with the debate over imperialism and American hegemony have indeed asked whether the kind of geopolitical horizon projected by the likes of Khalilzad or Brzezinski is really of a piece with the geoeconomic desiderata of the US government or of dominant fractions of US capital. For Immanuel Wallerstein, for instance, writing in The Decline of American Power, three elements of the oil industry are key for US strategy: participating in profits of the oil industry, control over the price, and access of supply. The US wasn’t to be unduly worried on any of the three counts and the gains to be made of marginal importance vis-à-vis losses. Others, such as Cyrus Bina have pointed out that the internationalization of the oil industry entails that any direct politics of preferential access through military means is off the agenda. For Bina, as for Wallerstein and many others, it is a weakening of hegemony – in a broad political, economic and ideological sense – and not a thirst for resources that pushed America to war. Given his view of the oil industry as globalised, post-cartelised and beyond what he calls ‘administrative pricing’ from the purely energetic angle America’s political behaviour is anachronistic, just as the response which sees it as a kind of ‘oil grab’. The transformations of the oil industry have rendered ‘physical access, pre-arranged inter-company allocation, and indeed administrative pricing and control of oil redundant’. It might also be worth noting, as Gareth Stedman Jones did some years ago in an excellent article on US imperialism, that it is not occupation or colonisation but rather the Open Door policy, inaugurated in 1899 in China as a kind of continuation of the Monroe Doctrine, and a constant all the way to the Carter Doctrine on the Middle East, that marks out the specificity of US imperialism. Praising Hay, the initiator of the Open Door policy, Woodrow Wilson declared: ‘If we are not going to stifle economically, we have got to find our way into the great international exchanges of the world. … The nation’s irresistible energy has got to be released for the commercial conquest of the world’. Of course, much of the critical consensus on US policy is based on the notion that its flagging commercial and productive energy, joined with its increasing material need for energy is what has pushed some ideological tendencies within the US establishment into catastrophic geopolitical fantasies. These fantasies, breeding a kind of imperialism of decline, are not just catastrophic, but deeply contradictory: if the singularity of American-led economic imperialism is to 'make the world safe for capitalism', so to speak, then the pursuit of an open pre-emptive geopolitical design – of the kind which would join its Iraq venture and its overall system of bases with the aim of a geostrategic intervention into the Rimland of Eurasia– cannot but appear as hardly functional to US interests. So is Harvey’s riff on the geopolitical mottos mentioned above – 'whoever controls the Middle East controls the global oil spigot and whoever controls the global oil spigot can control the global economy, at least for the future' – a dead end? Does it really make sense for the a declining US power to 'ward off that competition and secure its own hegemonic position [by controlling] the price, conditions, and distribution of the key economic resource upon which those competitors rely'? Only if we think (a.) that the oil industry allows such forms of control, (b.) that the securing trumps the backlash against such a brazen geostrategic gambit, and (c.) that it is evident what the interest of America or 'US capital' tout court might be. 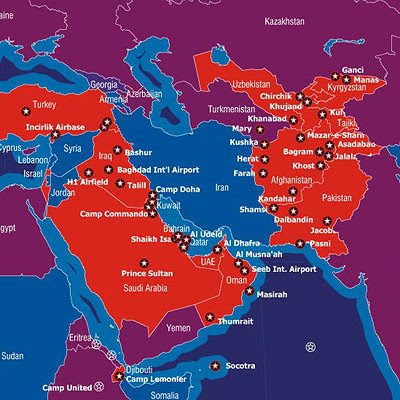 According to John Bellamy Foster, the neo-con 'attempt to create a US-led global imperium geared to extracting as much surplus as possible from the countries of the periphery, while achieving a "breakout" strategy with respect to the main rivals (or potential rivals) to US global supremacy. The fact that such a goal is irrational and impossible to sustain constitutes the inevitable failure of geopolitics'. But how are we to deal both with the return and with the failure of geopolitics? With the insistence and very real effects of its projection of the world and onto the world (e.g. the US basing strategy), as well as with its deeply fraught and contradictory nature? One interesting tack is to question the efficacy and pertinence of the brutal simplification of the socio-political dynamics of energy that it operates, to bring to the fore the myriad agents, relations, and precarious assemblages that give oil its political substance (a line taken by other papers in this conference, especially by Tim Mitchell and Andrew Barry). Another, perhaps closer to the political economy debates on imperialism I’ve touched on, involves questioning the very notion of 'national interest' or 'national capital' that underpins the geopolitical imaginary of states and their critics. In their provocative and theoretically innovative book The Global Political Economy of Israel, Nitzan and Bichler try just such a move by questioning what they term 'the familiar straitjacket of aggregates' and the 'Hobbesian anthropology' that views the politics of resources in terms of national interest. 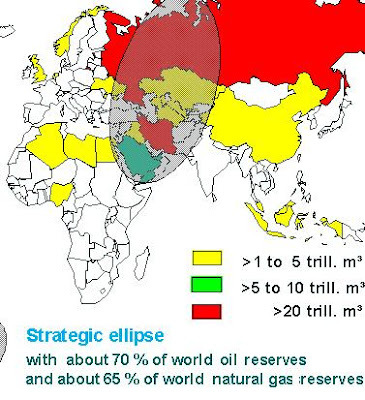 Looking specifically at the 'differential accumulation' of capital, the authors suggest that in the period following the upstream nationalization of oil in the Middle East (what they call the period of limited as opposed to free flow) 'Middle East conflicts were the main factor "regulating" the differential accumulation of the Petro-Core'. Rather than accepting the policy discourse of national interest they point to the differential advantage accrued by a faction of dominant capital – rather than capital tout court – what they refer to as the 'Weapondollar-Petrodollar Coalition' through the 'energy conflicts' of the Middle East (a claim they accuse RETORT of plagiarizing). It is the power exercised by such a coalition vis-à-vis its capitalist rivals (for instance the Technological capital that rose to prominence with the new economy), which determines the interest in apparently geopolitical conflicts. A very different attempt at questioning the return of geopolitics can be found in the very recent collection Oil Wars, edited by Kaldor, Karl and Said. Pitting the multilateralist discourse of governance, stakeholders and human rights against the stark imperatives of geopolitics, Kaldor et al. speak neither of resource wars nor energy conflicts but of new oil wars. Rather than attacking the imperialist aims of the US, these essays, which take the final form of policy suggestions, view the carrying out of 'old wars' as both anachronistic and counterproductive. As the case of Iraq appears to prove, while the US may think it is operating in an old-school geopolitical arena, it has mired itself in a new war. Such a war is 'associated with weak and sometimes ungovernable states where non-oil tax revenue is falling, political legitimacy is declining and the monopoly of organized violence is being eroded. In such wars, the massive rents from petroleum are used in myriad ways to finance violence and to foster a predatory political economy'. Carrying out old wars in new war scenarios is thus seen as the main category mistake that has led the US into its current predicament. Despite the salutary reminder of the failure of the geopolitical imaginary when it is faced by non-state actors and criminal political economies, such a multilateralist proposal falls short on a number of counts. First of all, it has the tendency to treat the geopolitical as a mere illusion that can be evaded by good policy choices and proper ‘governance’. In so doing, it also seems to exculpate imperialist ventures and to take their ‘good intentions’ at face value. Second, it appears entirely oblivious to the specific ways in which multilateralism – understood in terms of the coordination of dominant governments, corporations, international organizations and so-called civil society – is a very determinate product of Cold War and post-Cold War unipolarity, specifically in terms of ‘democracy promotion’ as part of a certain hegemonic agenda (see Nicolas Guilhot’s The Democracy Makers). Third, it puts the weight on the victims of war rather than on its perpetrators – as in a typical sentence ‘on the eve of the invasion, Iraq showed all the signs of irreversible state failure’ (they were asking for it, weren’t they?). Fourth, and finally, by linking the new oil wars to the idea of an ‘oil/rent-seeking/conflict cycle’, Kaldor et al. even as they demystify the ‘magical’ powers of oil, engage in myth-making of their own: oil, as a kind of retropolitical substance, seems to determine polities into the pre-modern temporality of fate (cycles), a temporality from which persistent colonial and imperial intervention is written out. Moreover, the account is also based on a very common moralization of capitalism which stigmatizes always-already failing petro-states by viewing them as states which bypass the pedagogical virtues of production. In their terms, oil is pernicious for economies because of the manner in which it engages in a ‘de-linking between wealth and work’ (something which is hardly the province of oil states alone, since it could be said to characterize highly financialised capital as such). Thus, while the novelty of the oil wars might allow us to break from the geopolitical obsession, it also fosters a deeply unhistorical and mystifying vision of oil as a kind of fate which only the stewardship of ‘responsible’ governments, NGOs, and civil society can forestall. The escape from retropolitics thus risks leaving us with an anti-politics, under the guise of ‘governance’. To conclude, perhaps the only way to escape an oscillation between a multilateral governance and a unipolar geopolitics which are often indistinguishable, is to rediscover, as Tim Mitchell suggested we do in his presentation, the politicizing effects of oil, the manner in which it both catalyses and congeals forms of democratic action and resistance. In order to do this, we also need to think about the link between oil and violence outside of the often mystifying domain of ‘national interests’. Returning to Sartre, we might then choose to reflect on how the notion of scarcity so closely linked in the recent period to oil might be seen as a driving force in the conflictual character of oil. As Sartre writes in the Critique of Dialectical Reason, ‘in so far as anyone may consume a product of primary necessity for me (and for all the Others), he is dispensable: he threatens my life to precisely the extent that he is my own kind; he becomes inhuman, therefore, as human, and my species appears to me as an alien species’. The politicisation of finite resources can thus link indispensable resources to dispensable men, humanisation to dehumanisation, such that violence ‘is that of freedom against freedom through the mediation of inorganic matter’. While scarcity is both produced and reproduced in ever new forms, and is not necessarily the cause for open conflict, it does mean that ‘the relations of production are established and pursued in a climate of fear and mutual mistrust by individuals who are always ready to believe that the Other is an anti-human member of an alien species; in other words, that the Other, whoever he may be, can always be seen by Others as “the one who started it”.’ In order to break the link between the retropolitics and petropolitics, or between Hobbesian violence and oil, it will also be necessary to reflect on the manner in which the economy of oil perceived as an economy of scarcity may be the bearer of virulent forms of dehumanisation and antagonism. A superb piece of analysis.